Some states require patients to sign for their doses. Such states include South Australia and Victoria. Biometric signatures, Signature Pad and manual signatures are acceptable. Where Fingerprint Readers and Signature Pads are not in use, patients can be required to sign a signature as depicted below. 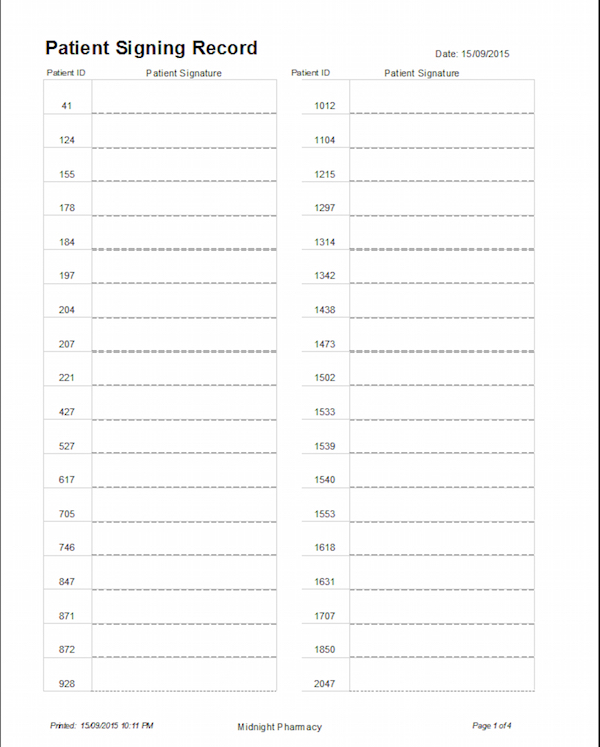 Such sheet is printed from the Daily Dosing form and the start of the days trading.